Bring the quinoa and water to a boil in a saucepan. Reduce heat to medium-low, cover, and simmer until the quinoa is tender and the water has been absorbed, about 15 to 20 minutes. Roughly mash the black beans with a fork leaving some whole black beans in a paste-like mixture. Mix the quinoa, bread crumbs, bell pepper, onion, garlic, cumin, salt, hot pepper sauce, and egg into the black beans using your hands. 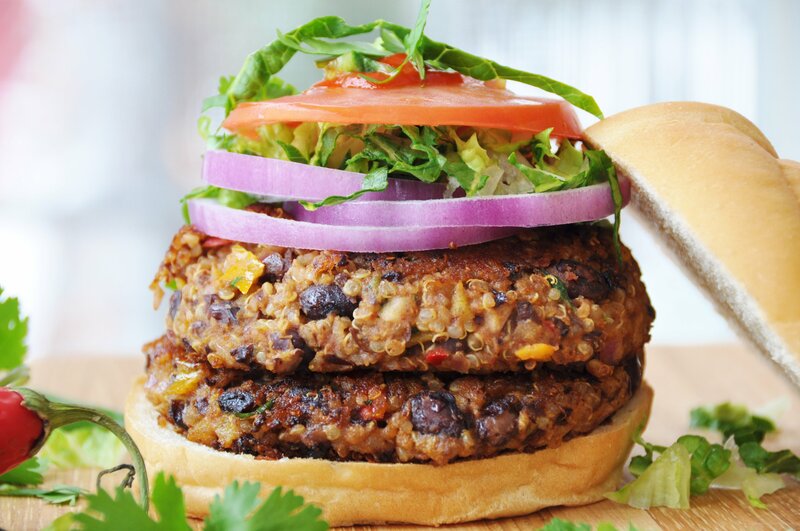 Form the black bean mixture into five patties. Cook the patties in the hot oil until heated through, 2 to 3 minutes per side.